Christ, Momus, and James Wood. To that often-asked question, "What is the value of literary criticism? ", one of the simplest answers is: it introduces. It was the book critic James Wood who introduced me to Momus, the ancient Greek personification of blame, invective, and satirical mockery, a Gawker among gods who (per Lucian of Samasota) wanted to place a glass in every breast, so our secret, scandalous thoughts could be seen. Allusions to him turn up in Hesiod and in Tristram Shandy—and, repeatedly, in Wood's own criticism, a trade he has plied in The Guardian, The New Republic, and more recently The New Yorker. In 2004, he even reviewed Battista Alberti's obscure Renaissance-era novel Momus, placing that book at a halfway point between the development of the ancient "comedy of correction" that exposes and mocks our flaws and the modern "comedy of forgiveness" that gently uncovers them. And he likens Momus himself to Christ: "The ambition of transparency, the desire to put a window in the human heart, strikes one as essentially religious… . That transparency received its memorably terrifying formulation when Jesus … admonished us that to imagine adultery is to commit it; we are known, through and through." Momus and Jesus, the one who exposes to humiliate and the one who exposes to forgive, seem like a strange pairing. (On etymological grounds alone, it would seem more sensible to compare Momus with Satan, the accuser.) Nevertheless, Wood makes the Jesus-Momus link again in "Why? ", the autobiographical opening essay of his new book The Nearest Thing to Life. Growing up in a devoutly Christian household, Wood struggled with the problem of evil, which he calls "the great Why? ": why should a just God make such a brutally unjust world? 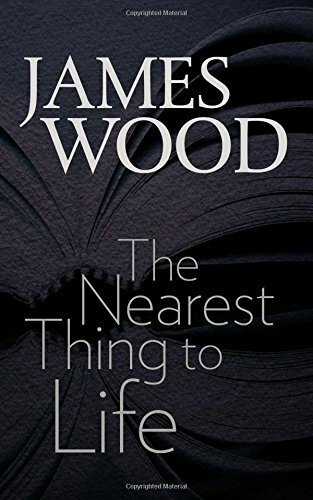 His parents' worldview did not satisfyingly explain suffering (it has that in common with all worldviews), and so Wood gradually, quietly lost his faith, meanwhile developing habits of "secrecy and enigma." He became "a formidable liar," he tells us, resenting Jesus' "parental surveillance" of our thoughts, which he compares, again, to Momus's glass window in every breast. He contrasts both with the novel, "that garden where the great Why? hangs unpicked, gloating in the free air." (If most theodicies have a repulsive glibness about them, so too does this nearly drooling attitude toward what is, after all, the problem of evil.) When we read fiction, he writes, we can surveil others' inner lives without falling into scorn or contempt; "our scrutiny is always edging away from judgment … toward proximity, fellow-feeling, compassion, communion." Why he thinks we always go easier on people who don't exist, he doesn't explain. He has clearly never watched the crowd at a slasher movie. Our compassionate watching is, in turn, enabled by the serious novelist's commitment to detail, to what Wood calls "Serious Noticing," the title of the book's second, and best, chapter. Elsewhere in the book, Wood describes the kind of criticism he likes as "a kind of passionate redescription," and in this chapter he provides such a redescription of Chekhov's short story "The Kiss." At a party, a young woman mistakenly kisses an awkward young soldier named Ryabovitch. Realizing that she has mistaken him for someone else, she runs off into the night. Ryabovitch never sees her again, but, over the course of a few days, he nurtures the incident in his memory until it has become the central incident of his life. One night he begins to relate it to his fellow officers over dinner, and is dismayed at how wispy, how insubstantial it sounds. "There are two absolutely lancing sentences in this story," writes Wood, and he quotes them: "In that minute he had told it all and was quite amazed to find that the story had taken such a short time. He had thought he could go on talking about the kiss all night." Wood enthuses: "What a serious noticer a writer must be to write those lines… . He sees that the story we tell in our heads is the most important one, because we are internal expansionists, comic fantasists." Chekhov's careful noticing, his capturing of finer and finer details, don't make for the sort of humiliating exposure Momus thought to achieve; they add up only to a more clearly understood mystery: "There is still the enigma of what Ryabovitch wanted to say." Great fiction, for Wood, whether in realist or fabulist mode, whether garrulous like Rabelais or taciturn like Lydia Davis, evokes this human fullness, and Wood's "passionate redescriptions" of the writers he loves, here and elsewhere, often have the same effect. I agree, too, in many ways, with Wood's account of literary criticism in the book's third chapter, "Using Everything": as a writer presents a vision of life, of possible and impossible worlds, the critic presents visions of what it is like to read those books. And yet this definition is certainly a case of playing to one's strengths—because when Wood tries, against his own prescription, to make broader arguments about the nature or history of literary art, he is conspicuously disappointing. Take his sweeping division between the comedy of correction (religious) and the comedy of forgiveness, which he manages to label secular. It is the mean-spirited comedy of correction that we owe to those supposedly merry, guiltless, pagan Greeks, not the comedy of forgiveness, the development of which Wood traces through Cervantes, Sterne, Austen, and other noted heathens. (Does he not realize Sterne was a clergyman?) His inability to see this contradiction resembles his misreading of the Sermon on the Mount: it is the knowledge that one has committed adultery in one's heart that begins to free one from the compulsion to throw stones at adulterers. Christianity was clearly some kind of strong influence on the comedy he labels "secular."